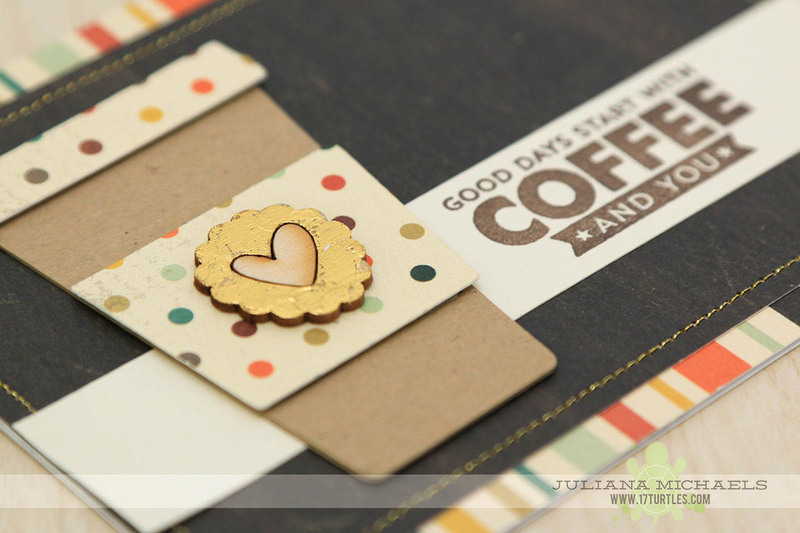 I'm so happy to be playing along with the Fall Coffee Lovers Blog Hop. I hope you are enjoying something a warm and yummy beverage as you hop along! The Fall Coffee Lovers Blog Hop started today Friday, September 25 and will run through Friday, October 2nd. The theme for this hop is Fall and I immediately knew I wanted to incorporate the many beautiful warm colors that I associate with fall - orange, yellow, red and brown. To do this was super easy using the new Carta Bella Fall Blessings collection. For more details about the hop, see the bottom of this post. I began by die cutting my coffee cup using my But First Coffee Digital Cut File that you can download and use for your next coffee themed project. I then layered the pieces and attached them to my card base. All of the patterned papers that I used on this card are from the Carta Bella Fall Blessings collection. To create my sentiment I used the My Favorite Things Stamps LLD Perk Up stamp set. I just love all the sentiments in this set! To me gold is a perfect accent color for all things fall, so I decided to add a touch of gold by stitching around the outside edge of my card using gold thread and my sewing machine! The final, and really only, embellishment I added was a touch of gold to a piece of Elle's Studio wood veneer. I applied a coat of Therm O Web's Deco Foil Liquid Adhesive and allowed it dry until it was crystal clear. This takes about 15 minutes depending on how thick you apply the glue. I then applied Therm O Web's iCraft Deco Foil Transfer Sheet in Gold. Wa-la...a beautiful gold accent piece! If you want to play along all you have to do is create a new fall themed coffee, tea or cocoa project and then head over over to the Coffee Loving Cardmakers Blog to link it up. Anyone is welcome to link up any time between Friday, September 25 and will run through Friday, October 2nd @ 11:59 pm pacific. There are no limits to the number of entries. The more the merrier! By linking up your newly created fall themed coffee, tea or cocoa project, you become eligible to win a prize from one of their amazing Super Sponsors! By the way, National Coffee Day is Tuesday, September 29th. 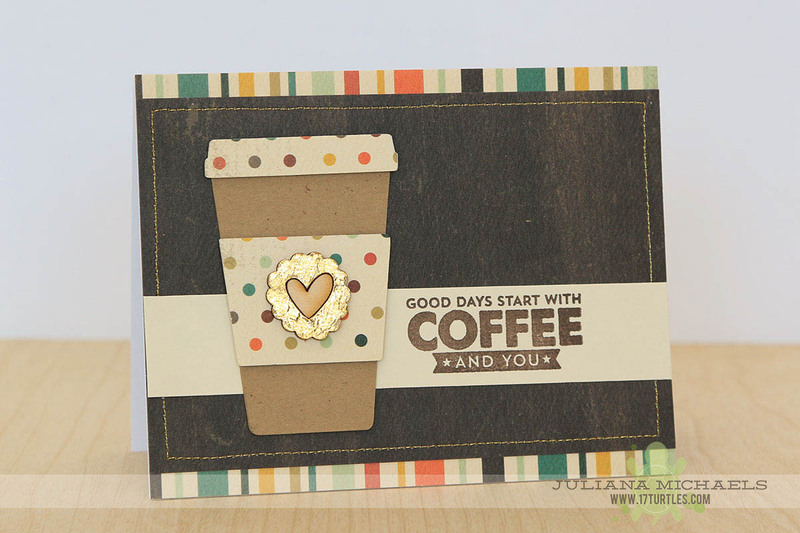 All the specific details can be found on the Coffee Loving Cardmakers Blog. 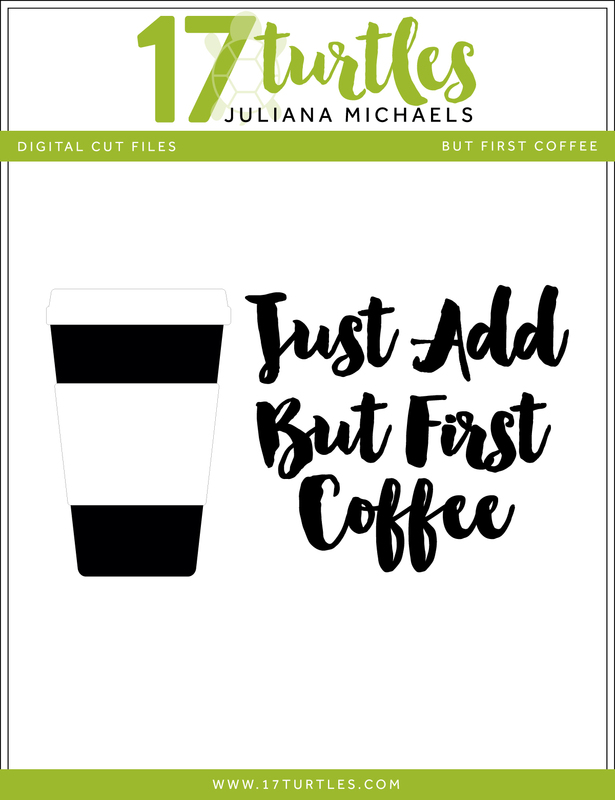 Thanks so much for stopping by today and I hope you enjoy the But First Coffee Digital Cut File I shared with you! VERY lovely card; such a great layout! I love that stamp set, too! and thank you so much for the cut file!!! One of my favorites!!! I love the great colors in your card! Perfect fall theme! FABulous, Juliana! Love the gold accent piece! Great colors and patterns - love that sentiment too! This is so darling!! I love it! What a great card and wonderful sentiment. Beautiful card, Juliana, love your fall colors! Happy hopping! thank you - my daughter just loves her coffee - have wanted to do a card 4 this 4 ages...thank you..
A fun creation with perfect touch of gold! thanks for the free download! LOVE the gold on the wood and the gold stitching! FAB layering, too! Such a fun card. Thank you for the fab download. Love the gold embellishments - lovely! Thanks for the digi file. What an awesome card - love that gold embellie! Thank you for the cut file too! What a beautiful card! 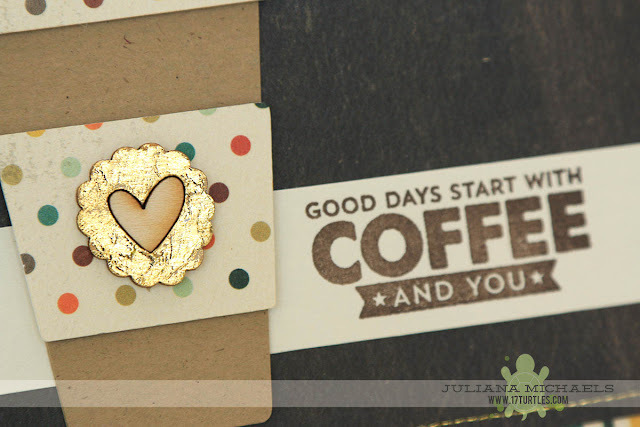 Love that coffee cup and that little touch of gold you added is perfect! Cute Card I love the stitching. Juliana! Your card is magnificent! Thanks so much for sharing the cut file...I LOVE it! Sweet AND colorful card, Juliana! Really pretty, and yes you are right the gold is the perfect accent! so nice, love the gold! Fun coffee creation! Love this! Beautiful card and love that sentiment! Thanks for sharing this inspiration! ~Annie Thanks for the cute cutting file too! You rock! That gold is fabulous!!! Wonderful card. Fantastic card. Love the gold touches and the gold foiled wood veneer piece. Forgot to say thanks for the digi download. Thanks for the awesome digital download! I love your card and the touches of gold... I agree... gold is perfect with fall colors... and all of the others too...lol! I just got some gold thread.. it's awesome! And love that gold piece in the center of the cup... have to try that..
Love the card and thanks! Great card! Thanks for the cut file! Great card, and thank you for the SVG file! I hope I can get it made before the challenge is over. Lovely cup, and the sentiment is great!! Very pretty card. I always like stitching...I don't do it often myself but noticing a lot throughout this blog hop. Great card.